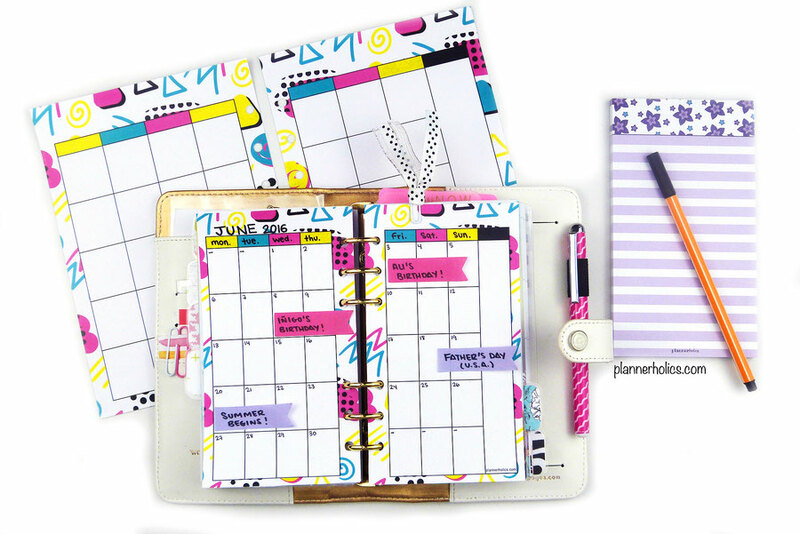 When it comes to using a planner we all have a pretty good idea on how to structure our weekly or daily pages since usually they are the ones that we use the most, but what about our monthly spreads? 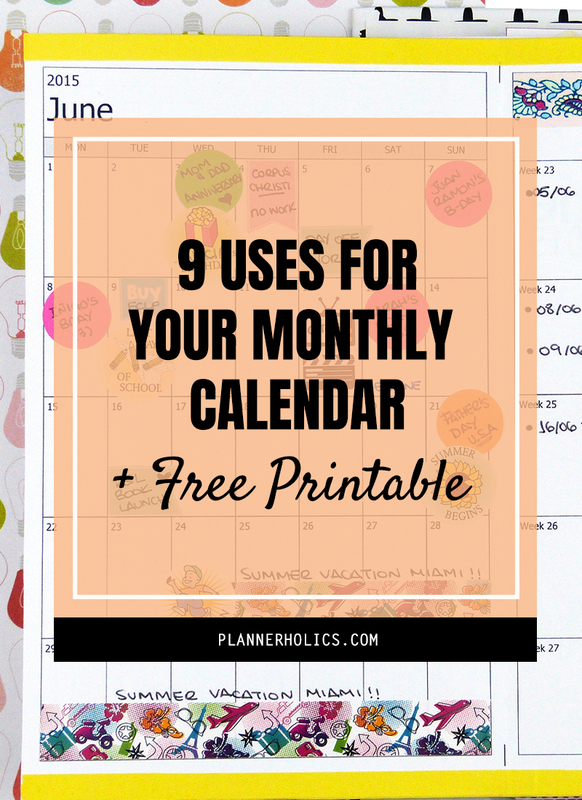 Our monthly calendar is just as essential in our everyday planning and today I´m going to show you how. A monthly spread is a great way to plan ahead. 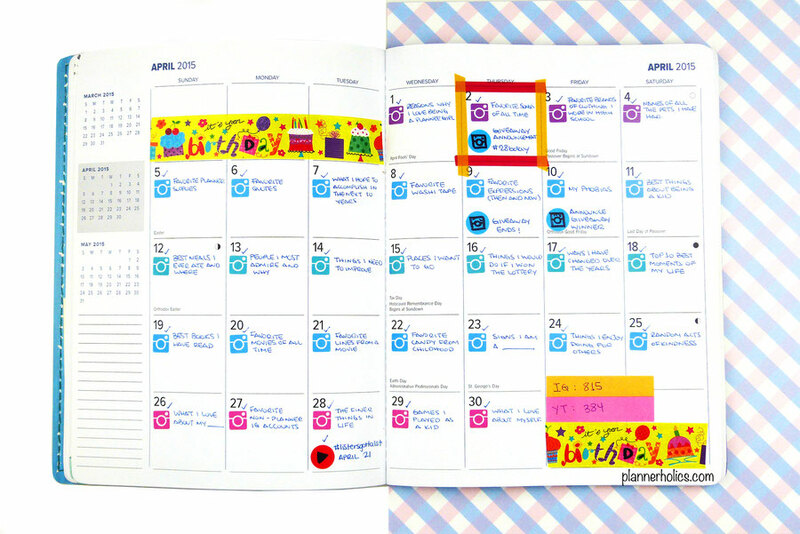 It is specially useful in your main planner to keep track of any holidays, events, birthdays, and appointments that are going on that month. 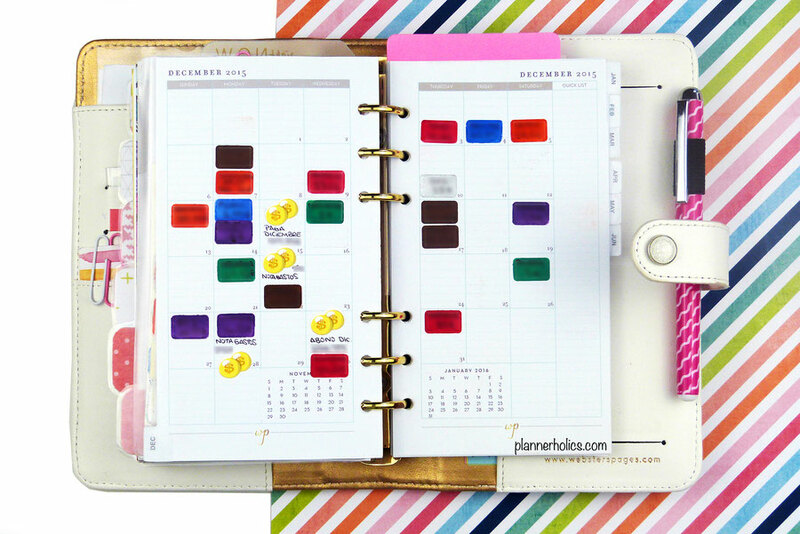 This will give you a clear view of your days so you can plan out your tasks. If you manage several online platforms (like YouTube, a blog, Instagram, Twitter, Facebook, etc) then you know that sometimes keeping track of when and what you post can be a bit overwhelming. In this case, using a monthly spread as your editorial calendar is a fantastic way to organize all your ideas and schedule out your content. You can use color coding, stickers or even page flags to differentiate your social media accounts and set up a consistent "program" for all your posts. You can also use your monthly layout to participate in social media challenges. I really enjoy the doodle-a-day type of challenges, but there are so many out there that are just as fun, like handwriting challenges, quote challenges, picture challenges, etc. 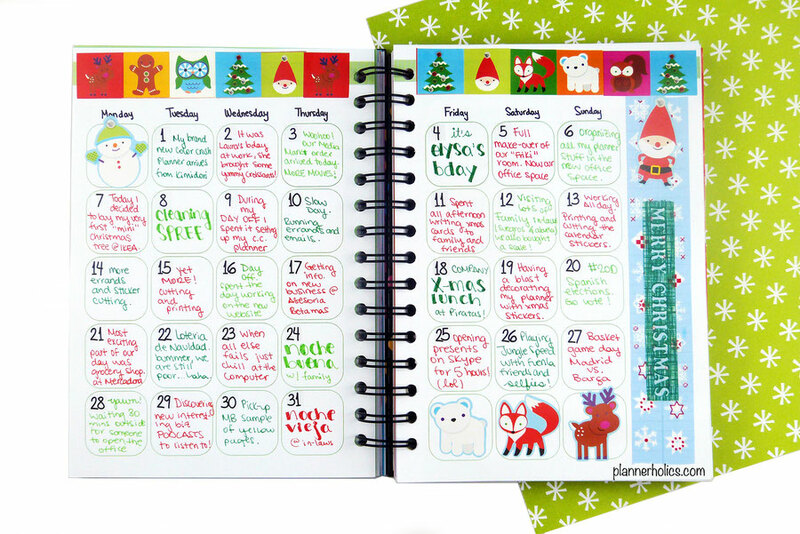 OR you can simply use the space to write out all your prompts and keep track of the ones you do. Keeping an exercise log is a great way to stay motivated and reach your fitness goals. You can keep track of what you do and don´t do, allowing you to see the different patterns and if you are establishing the exercises you require. It is especially helpful to see your progress and achievements. Use your monthly calendar to write positive affirmations everyday. Keep a log of all the things you are grateful for and you will instantly see the benefits of this action as soon as your start. It is proven to increase happiness, wellness, self-esteem and helps to keep your mind at ease. 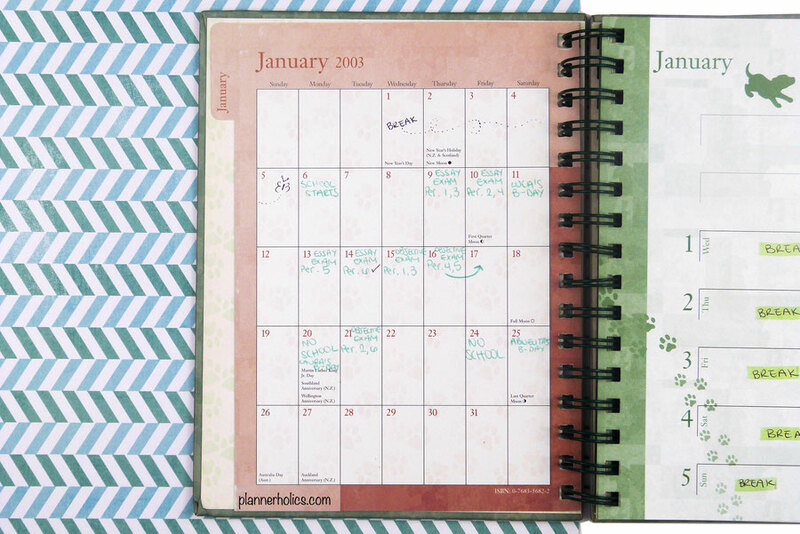 Your calendar spread can also be used for memory keeping. Write or doodle out little anecdotes or highlights from your day. Choose a fun memory you experienced and jot it down so you can reminisce later on. Above you can see an example from my christmas days inside my The Memory Book. Save time and money in your kitchen by meal planning in your monthly spread. Make a list of all the different dishes you want to eat that month and schedule them out throughout the days. This will make sure you keep a balanced diet and help you when it´s time to grocery shop. The monthly calendar is also great to use as an expense tracker. I particularly like to use color coding stickers and/or pens to write out all my bills and expenses so I can stay within my budget and know exactly where my money goes. And last but not least, if you are in school or are working, using a monthly calendar to jot down all you exams, meetings, assignments, and projects will definitely make your life easier so you can prioritize the different tasks and to-dos you have to tackle. 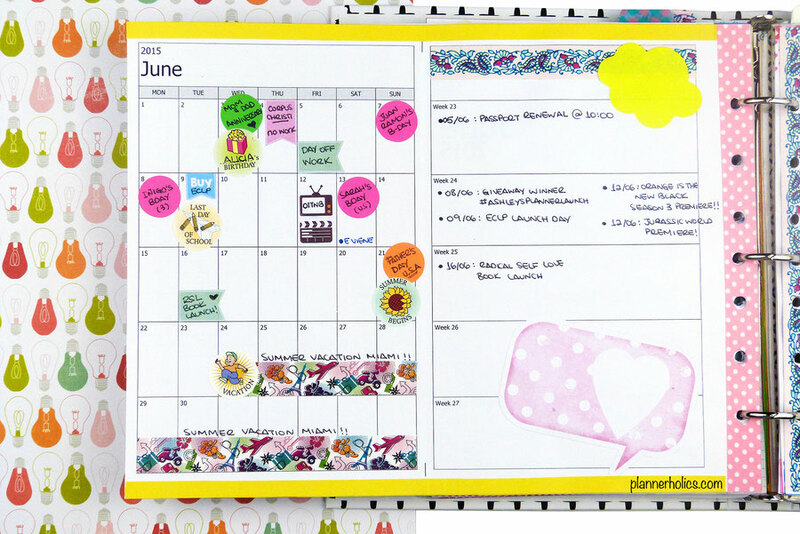 So as you can see, monthly calendars are wonderful for overviews, deadlines and trackers. They can be something you check everyday or once in a while. I love using them and find them to be an essential part in my planning. 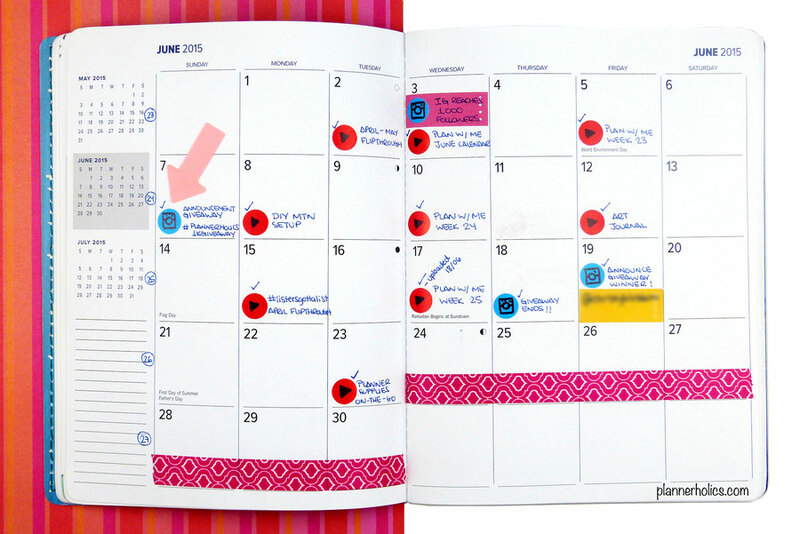 How about you, do you use a monthly spread in your planners? In the hopes that you found this post helpful I thought I would share with you a really fun, summer-popping, un-dated monthly printable so you can put some of these uses into practice. 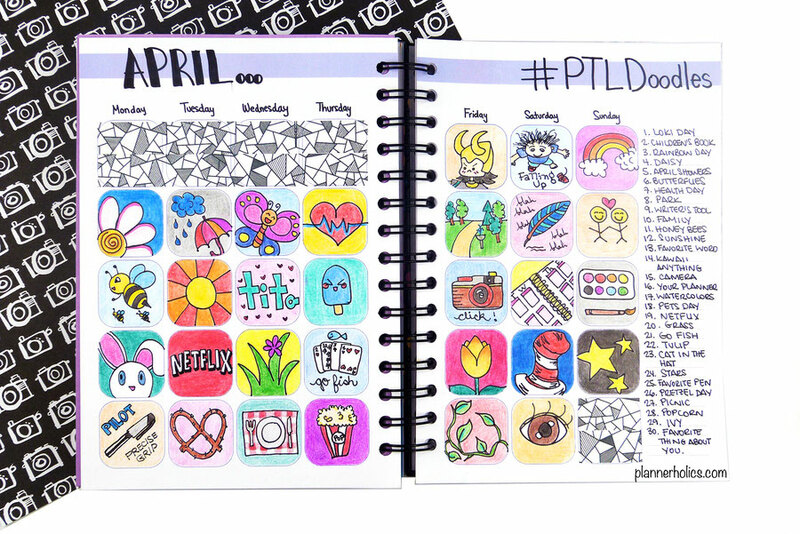 Don´t forget you can share your planner spreads with me on Instagram, tag me @plannerholics or use the hashtag #plannerholicsinserts.